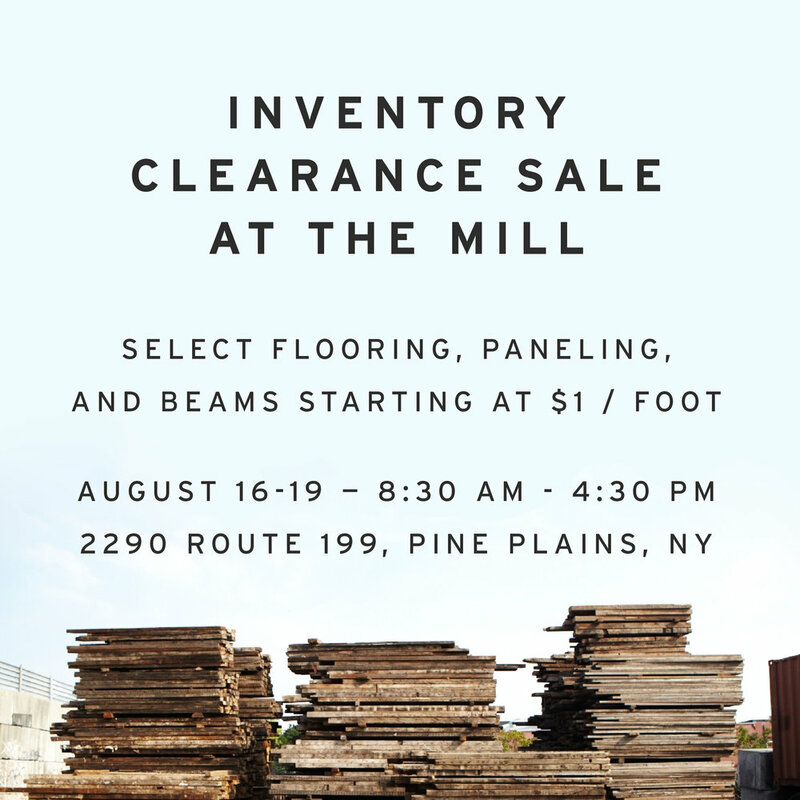 *NOTE: This master inventory list and all specs will be updated daily throughout the clearance sales event and details are subject to change. Click to see the detailed list of all clearance inventory product specs. - including cut, milling details, grade, dimensions, lengths, and prices. This master inventory list and all specs will be updated daily throughout the clearance sales event. *Click to see the detailed list of beam & joist specs. - including cut, milling details, grade, dimensions, lengths, and prices. *Click to see the detailed list of non reclaimed flooring specs. - including cut, milling details, grade, dimensions, lengths, and prices. *Click to see the detailed list of pre finished flooring specs. - including cut, milling details, grade, dimensions, lengths, and prices. *Click to see the detailed list of reclaimed engineered flooring specs. - including cut, milling details, grade, dimensions, lengths, and prices. *Click to see the detailed list of reclaimed solid flooring specs. - including cut, milling details, grade, dimensions, lengths, and prices. *Click to see the detailed list of reclaimed paneling specs. - including cut, milling details, grade, dimensions, lengths, and prices.